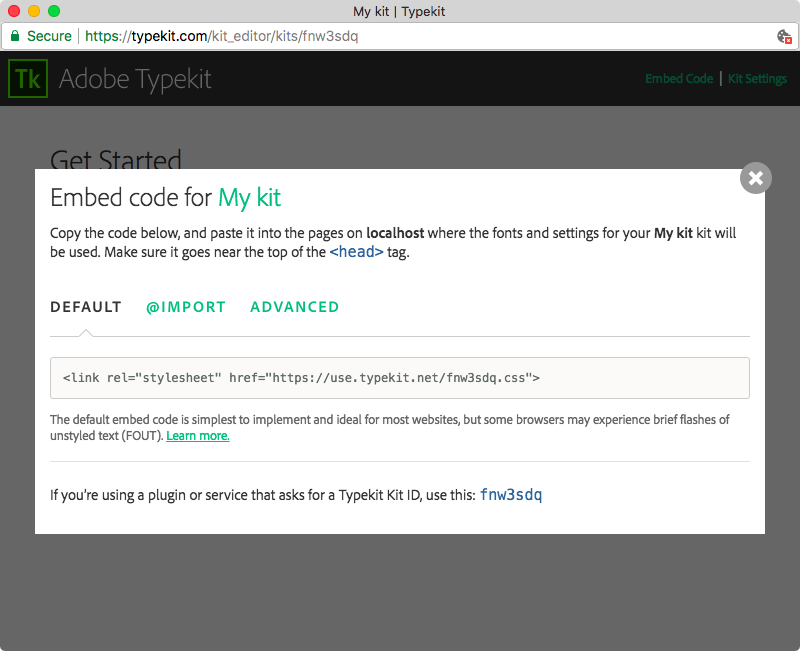 Adobe Typekit can be used on any blogging platform that allows you to customize your HTML. 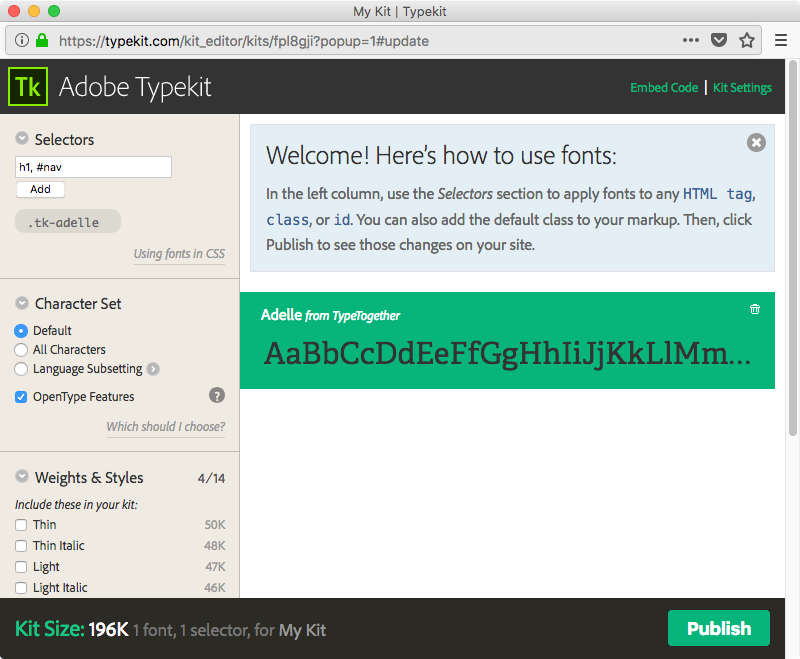 With some basic knowledge of HTML and CSS, you can add fonts to your blog in a few minutes. Once you’ve created your account, choose some fonts! When you find a font you like, click the font card to go to the family page. 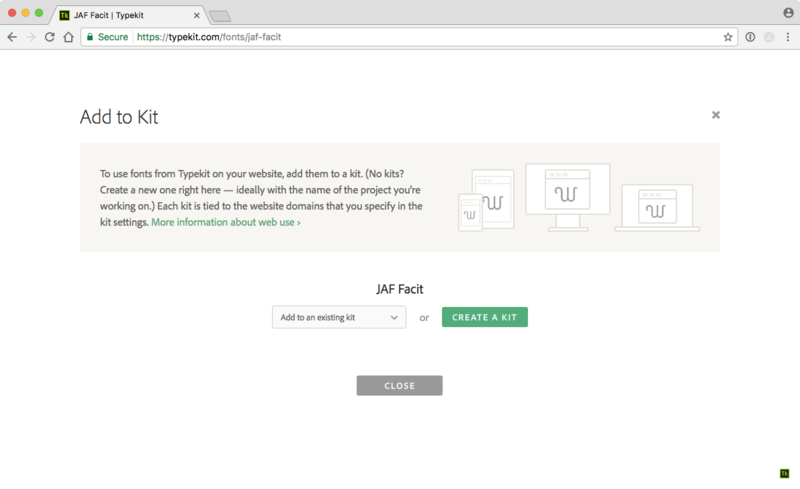 A kit lets you configure the fonts that Typekit will apply to your website. 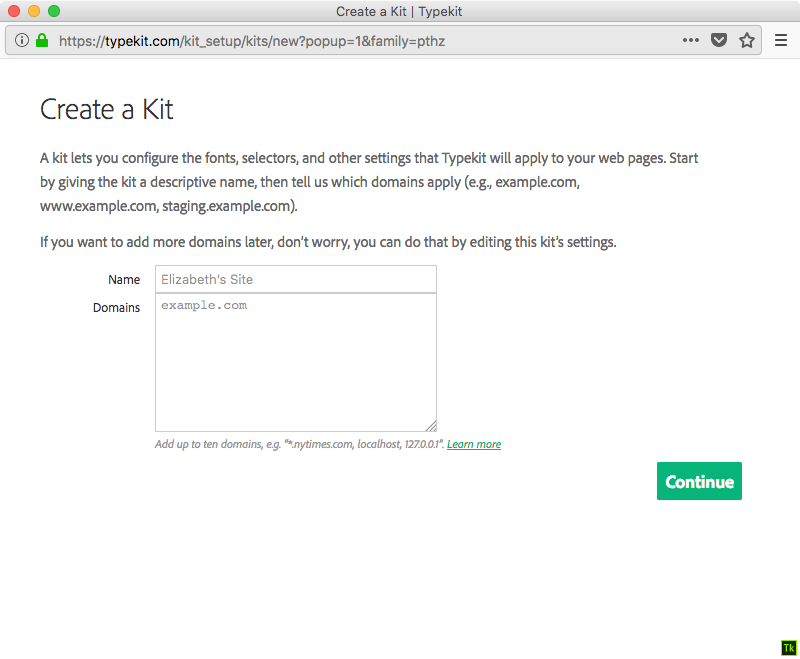 Give the kit a name, and enter the domain for your blog. Next, you’ll be given the embed code for your specific kit. 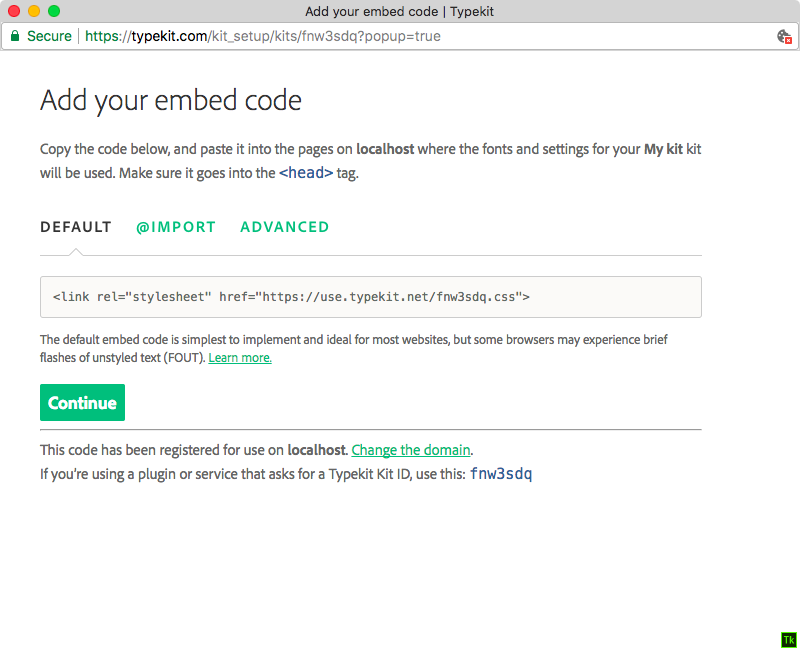 The different options are explained in the embed code help page, and the default embed code works well for most projects. Copy the embed code and add it to the <head> tag in your blog. 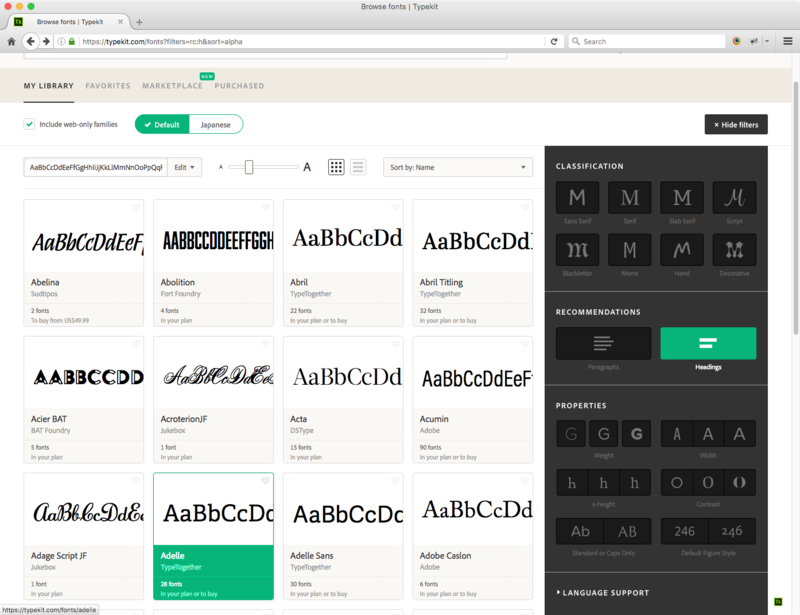 To add more fonts to your kit, click the “add to kit” button and choose the kit name from the “add to an existing kit” menu. 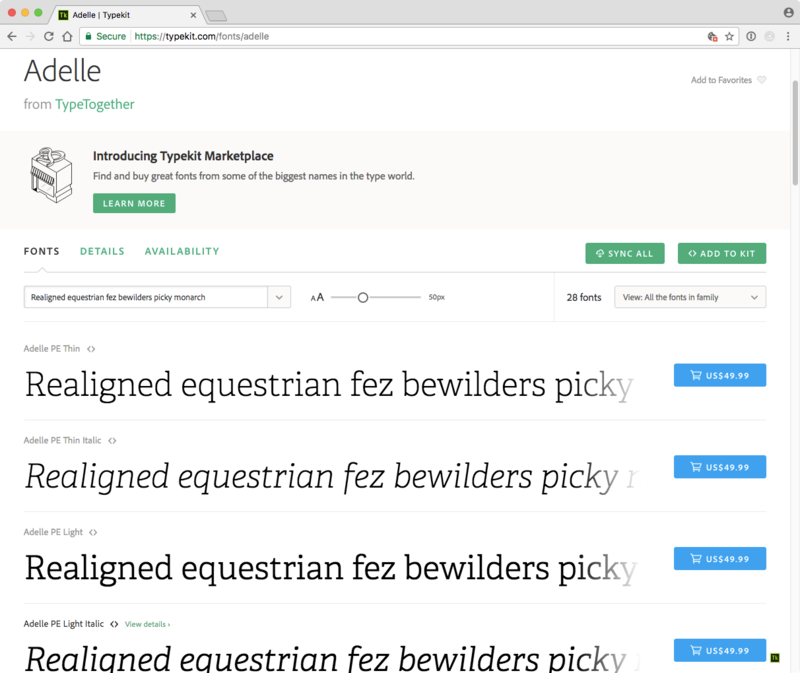 Next, add CSS selectors for each font family; selectors tell the web browser where the fonts from Typekit should be used in your website. The CSS selectors help page has more information on adding selectors to your kit. Once you’ve added the selectors you want, click the Publish button to publish the kit. The fonts will appear on your blog within a few minutes.